Some of the nearly 500 people who have received a new heart at Penn State Health Milton S. Hershey Medical Center over the past three decades gathered recently to celebrate their successes. 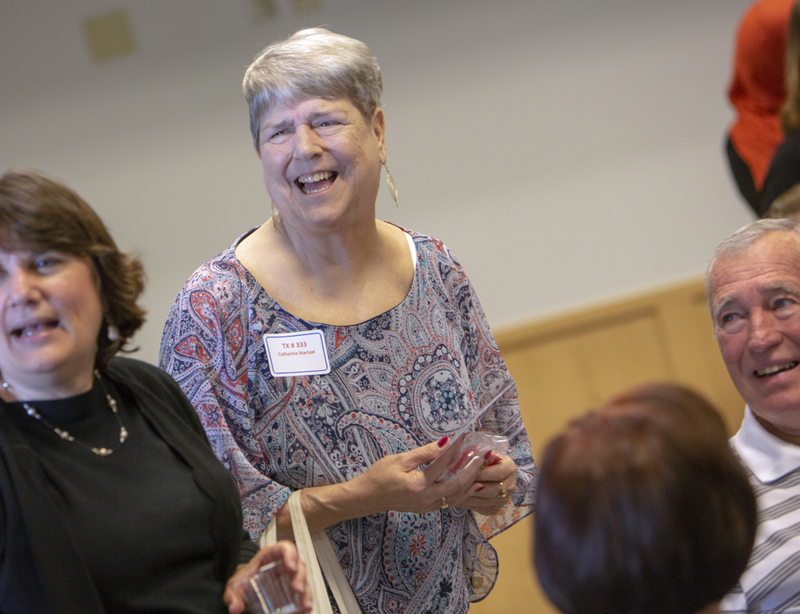 The heart transplant patient reunion is an opportunity for them to share stories and catch up with friends, many of whom met while in the hospital. The nearly 40 transplant recipients who attended the June 1 event at the University Conference Center on the Medical Center campus have been living with their new hearts for anywhere from two months to 32 years. Hershey Medical Center is the only hospital between Pittsburgh and Philadelphia that performs heart transplant surgery. The Medical Center currently provides follow-up care to more than 180 heart transplant recipients.